Microsoft is working on a new update for Windows 10 that will bring Sets, Clipboard and other features. It appears that Windows 10 Redstone 5 update might come with another new feature called Control Center. Microsoft started working on Control Center in 2017, and for some reasons, the release was pushed back. But a leak earlier this year revealed that the software giant is still working on new Control Center, and the feature is getting better. 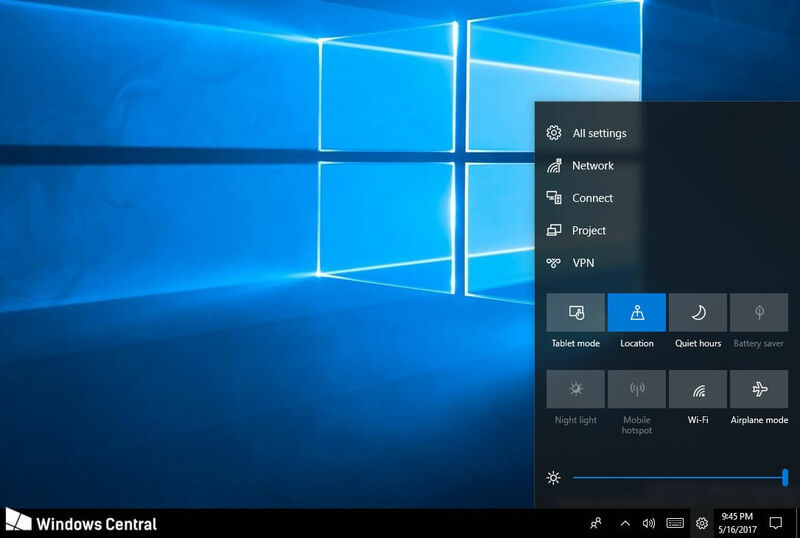 Today, we have discovered a evidence suggesting that the new Control Center could still be coming to Windows 10 after all. 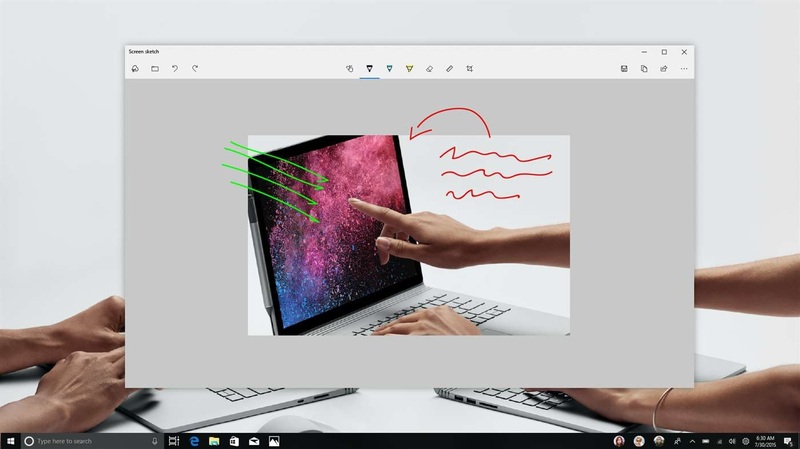 Microsoft last month published a new app called Screen Sketch in the Store, and the screenshots of the app available in Store suggest that the new Control Center is still being developed. In the above screenshots, the Control Center can easily be spotted by the settings cog icon in the System Tray which appears alongside the Action Center on the taskbar. The Control Center will allow users to gain quicker access to various system settings and is more user-friendly than the Action Center. It’s worth noting that the screenshot could be a mock-up, as both the Microsoft Store icon and date are outdated. Control Center is a new pane that would bring a number of key settings in a single location, and it would be accessed via a settings cog icon in the system tray. You’ll be able to quickly access a number of key settings, and as well as change the display brightness with a handy slider. Back in 2017, the Control Center briefly appeared in an official blog post for Insiders, but Microsoft removed the details, suggesting that it did not actually intend to announce the feature at that time. The creation of the new Control Center suggests that the Action Center itself might be broken into two parts. Needless to say, Microsoft experiments with many features throughout the development, and like many other projects, the Control Center could be cancelled anytime. shut down, restart, and account options must be in control center too. aha… and because they have always been there it means is the best place. Answer: NO. Account things must be in control center. starting and ending your task where you started Was practical and is why it’s been there For so long.